To sign up for our free newsletter, just enter your email address. Welcome to the new look of HG controllers. With rapid growth in the modding industry HG Controllers is now proud to announce the acquisition of Evil Controllers. That’s Right, you can now purchase turbo rapid fire controllers right here. Button relocation and Rapid fire, finally have the same home. Enjoy the Site. Head in the Game Controllers has introduced a simple idea into the gaming world: A controller with a more ideal and sensible button layout, capable of eliminating any button delay while also increasing your reaction time. Its unique and simplistic design makes for smoother and more comfortable game play. With this controller you can really take your game to the next level! Head in the Game Controllers believes that this controller can only help in the evolution of game play. This site is ran by gamers for gamers, thanks again for checking out our site. WHERE GOOD CONTROLLERS GO BAD! Looking for controllers that give you a ridiculous advantage with mods like rapid fire and fast reload? Try our friends at EvilControllers.com! See what others are saying about our brilliant controller mods. You can check out the full review at XboxNowOnline! Celebrating the partnership between HG and Evil Controllers, we bring to you ADJUSTABLE RAPID FIRE. With this controller you can now adjust the rate of speed for the controller. 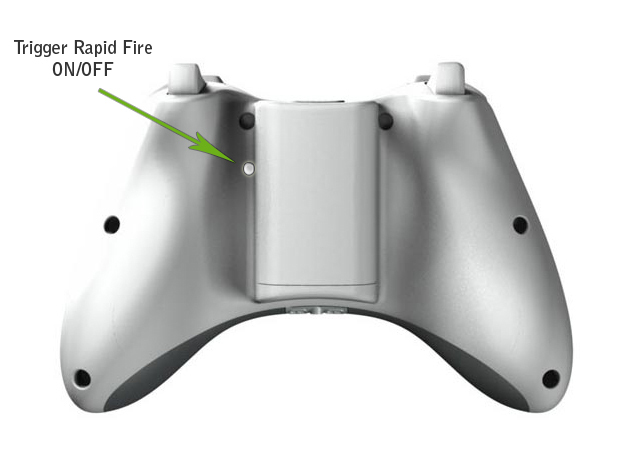 This will be the last rapid fire controller you ever need. Worried your current controller won’t work with an upcoming game? With Evils advanced technology, this adjustable rapid fire will give you ability to change speeds for your desired game. Worried about this controller lasting? Click here to read about our new extended warranty. Evil Controllers is always pushing the envelope in the modding industry. We are proud to announce the 1st STEALTH rapid fire controller. That’s right say goodbye to modded buttons, you can now activate rapid fire by using the factory Xbox buttons.